OLD PARKED CARS. 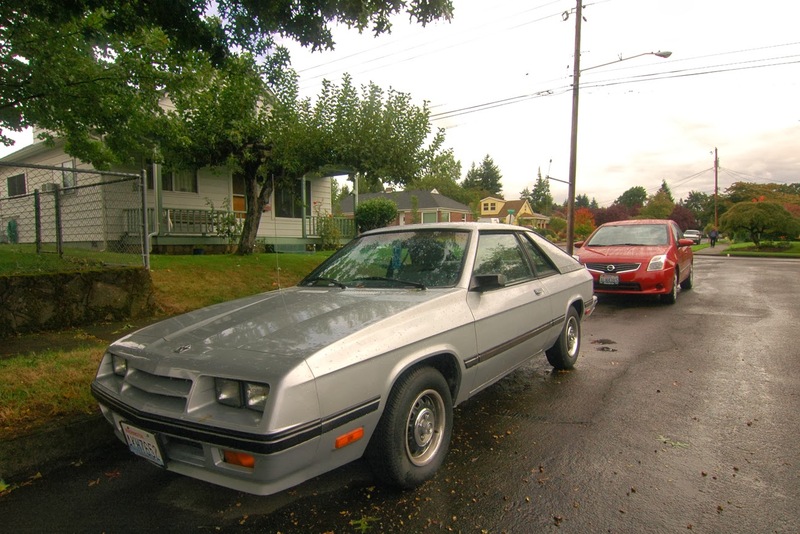 : 1984 Dodge Charger. I remember my Grandpa's neighbor had an early model a long time ago. 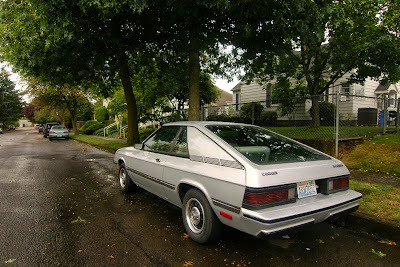 My mother had the plymouth version of this, a 1983 Plymouth Turismo 2.2. Event he same color. It made a weird whistling noise that the dealer could never fix. For the era, it wasn't a bad looking car. Agreed with Ace, it went from a muscle car with various choices of V8s, to a landyacht personal luxury coupe and then it became an angular little compact hatch. And now it has two historically inaccurate doors but at least it's fast again and handles reasonably well. 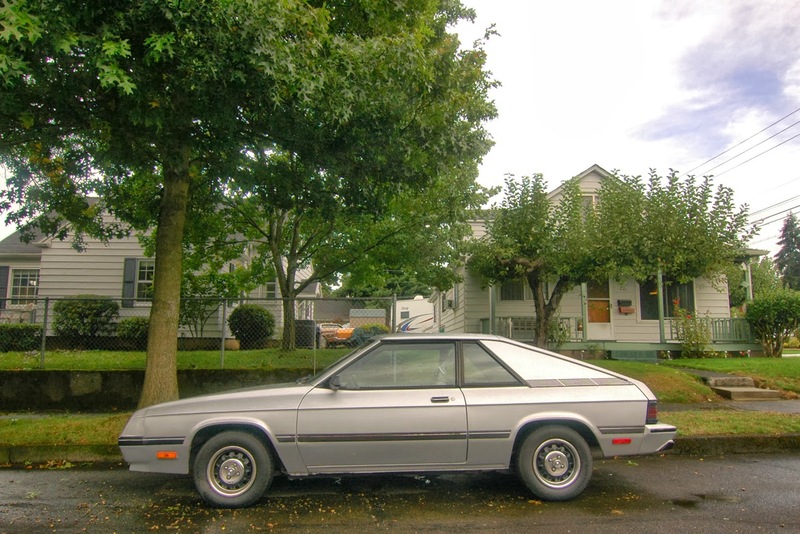 @Justin - I'd assert that it was something of a personal luxury car from the start. Sure, a Charger with a 440 or 426 hemi was near/at the top of the muscle car heap, but the lesser engined-versions actually dressed up pretty nicely. Easy to imagine a Charger buyer cross-shopping a Grand Prix, Monte Carlo, or Cougar. The mid to later 70's variants went over the top with the luxury touches to make up for the neutering of the engines, IMO. The Charger is basically just a GLORIFIED DODGE INTREPID now-a-days...what the hell happened??? anyway, can you imagine the looks you'd get pulling up to work in this thing and getting out with your briefcase? i'm cracking myself up thinking about it. Aaahhh, the fifth-generation Charger 1982–87. This car replaced the Dodge 024. I actually liked the 024 better, it, had a third back window unlike the Charger. I really didn't care too much for these cars when they were new, and a few years after they stopped making them as well. I will be honest with you though at this point in my life I wouldn't mind it if they still made them. The car actually looks reasonable and I think they got good gas mileage, 5 speed was also offered. Oh well wishful thinking. I really appreciate the oddball vehicles like this because you just don't see them everyday, and will probably be on this site for hours at a time. Thanks for all the interesting photos guys! Keep them coming!